Since the start of the new year, there isn’t anything exciting in the makeup world. Other than beauty, I’m passionate about style and shopping. I am an expert in finding the best price when I am hunting for an item. 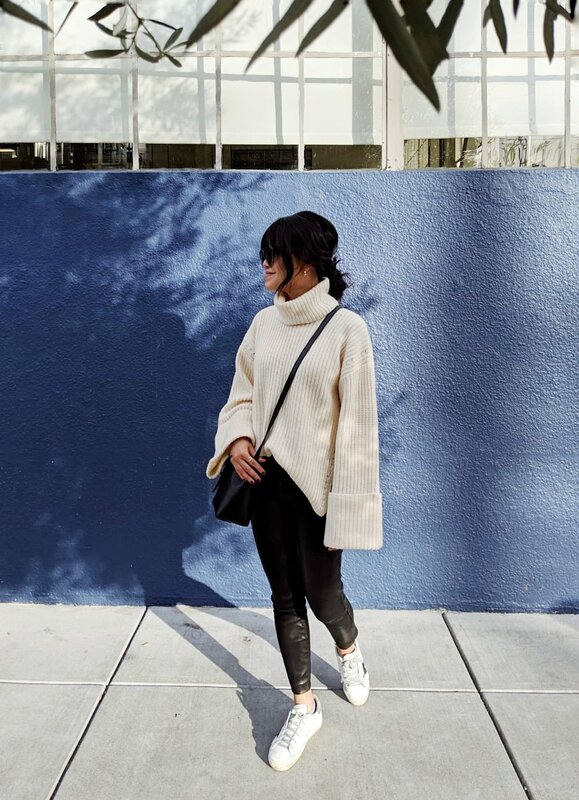 Also it’s still winter in San Francisco so I thought I’ll do a little post on my favorite winter pieces in my wardrobe. I like oversized or cocoon coats so I have been enjoying the Everlane Cocoon Coat in black. This is definitely an oversized fit so go one size down. My only feedback is that I wish the pocket openings are slanted or placed lower. Chloe Susanna boots are probably one of the best looking boots that I have ever laid my eyes on. I have always wanted a pair but I believe in only buying them only when they are on sale. I bought them at the lowest price I have seen on Farfetch during the Black Friday sale. Speaking of oversized, I had been searching high and low for a good camel coat. If you are looking for one, look no further than this coat from The Curated. I love the brand’s story: sustainable, responsible and transparent. The cashmere is sourced from Inner Mongolia. However the sizing runs small so go for one size up (I usually wear XS/0 and I bought size S). One thing to note is the coat has no belt loops so you will need to tie the waist band that comes with the coat. I also love a good oversized knit, this Equipment sweater in Ivory is perfect. My usual XS is out of stock, but S seems to be okay and I am definitely looking to “shrink” this sweater by putting it in a dyer for a quick second after handwashing it. I love leather pants and they elevate any outfit. J Brand no doubt makes the best leather pants in my opinion. I own one from Current/Elliot, unfortunately the quality is not as good as I expect. *I purchased these item (except Everlane and The Curated) during recent Black Friday sale so the prices may vary. This post contains affiliate links. Beauty addict, graphic designer, amateur cinephile. A blog by Rena Phuah. Online advertising and freelance graphic designer.